The fifth and final YAMA is concerned with freedom from greed and hoarding. It explores the idea that we should not take or collect things we do not really need. We should not be greedy. We should only take that which had been worked for and earned. By applying this YAMA we are able to simplify our lives and train ourselves to not feel that we are lacking or missing out on anything. We have all that we really need when we have food, shelter, our mind and our health. When we are living in accordance with the APARIGRAHA we can trust that what we need, will come into our lives as and when it is really required. We can try to apply APARIGRAHA is a number of ways – only filling our plate with a humble amount, we can always go back for more if genuinely hungry. We can also trying not to hoard clothes (which I know can be an issue for a lot of people in today’s fashion conscious world!) We don’t need something in EVERY colour! If we have a perfectly good pair of tights / jacket / whatever… Then wear it until it is actually worn out. 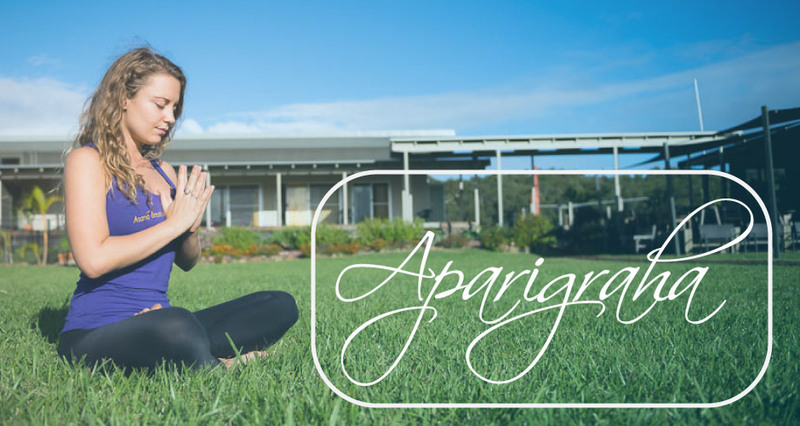 How could you apply APARIGRAHA in your life?